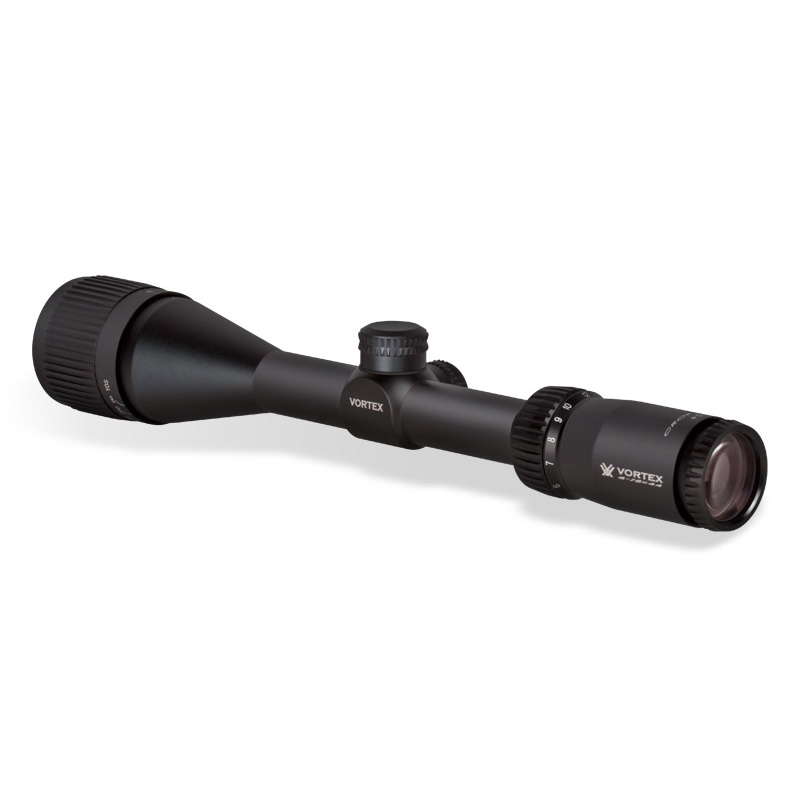 Vortex Crossfire II 6–18x44 AO Rifle Scope. With long eye relief, a fast-focus eyepiece, fully multi-coated lenses and resettable MOA turrets, there's no compromising on the Crossfire II. Clear, tough and bright, this riflescope hands other value-priced riflescopes their hat. The hard anodized single-piece aircraft-grade aluminium tube is nitrogen purged and o-ring sealed for waterproof/fogproof performance. 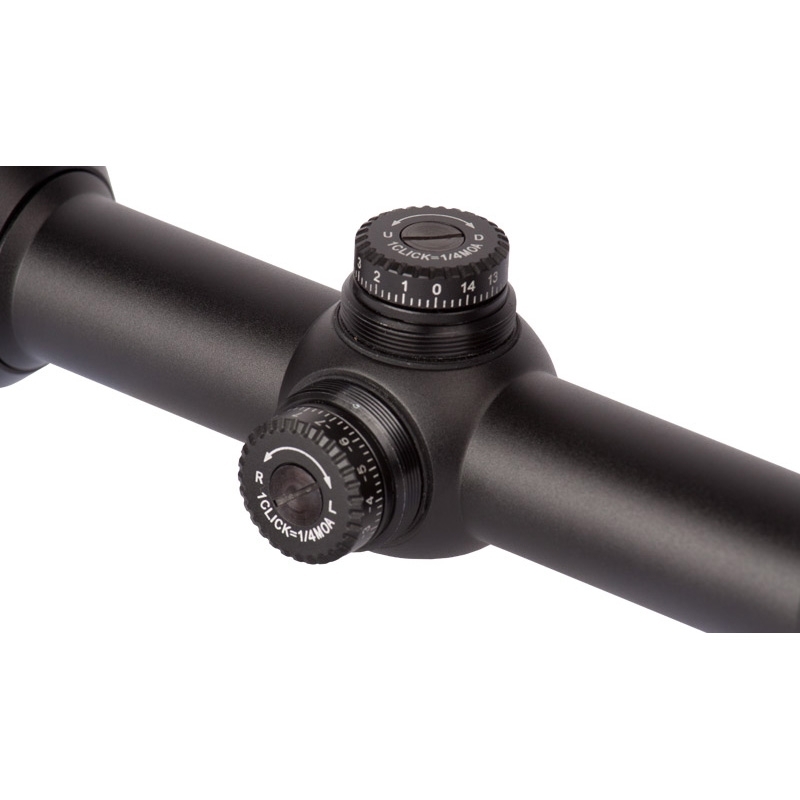 Adjustable Objective: Adjustment for riflescope's objective lens provides image focus and parallax removal. Parallax from 10 yds to infinity! 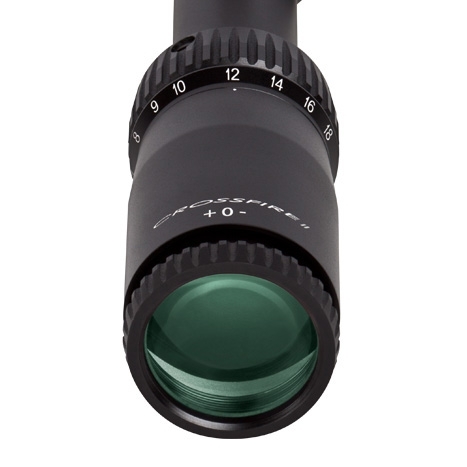 Fast Focus: Eyepiece Allows quick and easy reticle focusing. FIRST CLASS RIFLE SCOPE. 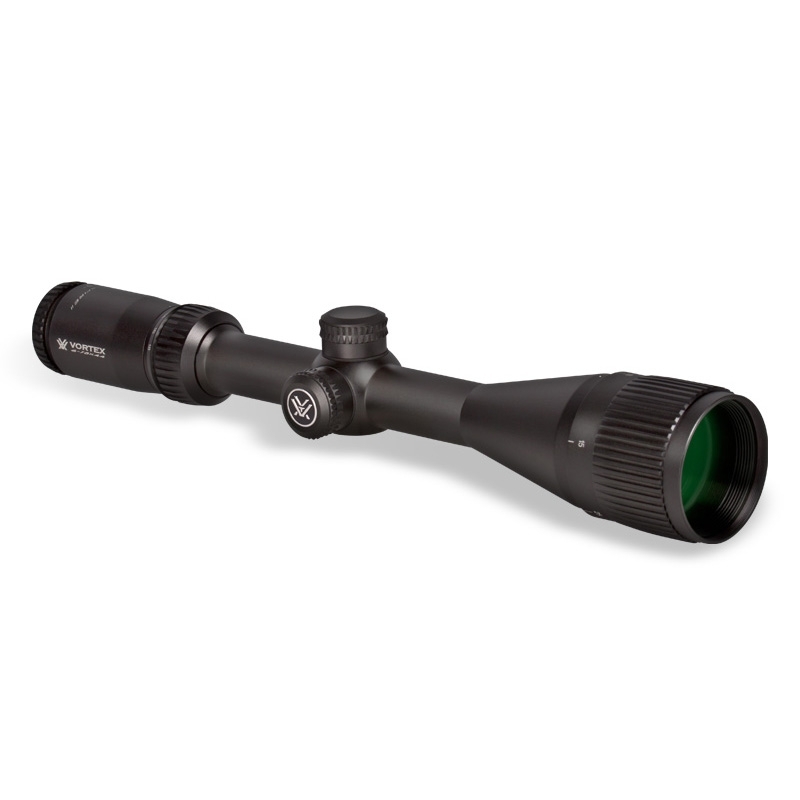 CLEAR SHARP OPTICS AND A VERY HIGH BUILD QUALITY. THE I HAVE PURCHASED IN A LONG TIME. Have already obtained two Vortex products this is my third. They are extremely good quality and are reasonably priced. Highly recommended.